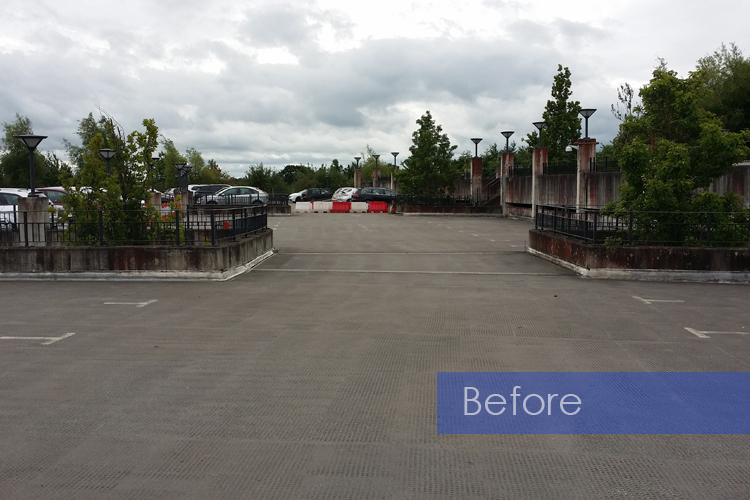 The existing asphalt surfacing of the multi-storey staff car park at the Bank of America Merrill Lynch site in Chester was failing, along with the movement joints, and letting water and salts drip down through the car park and onto cars below. Some of the concrete to the structural elements had also deteriorated as a result of this and structural concrete repairs were required. 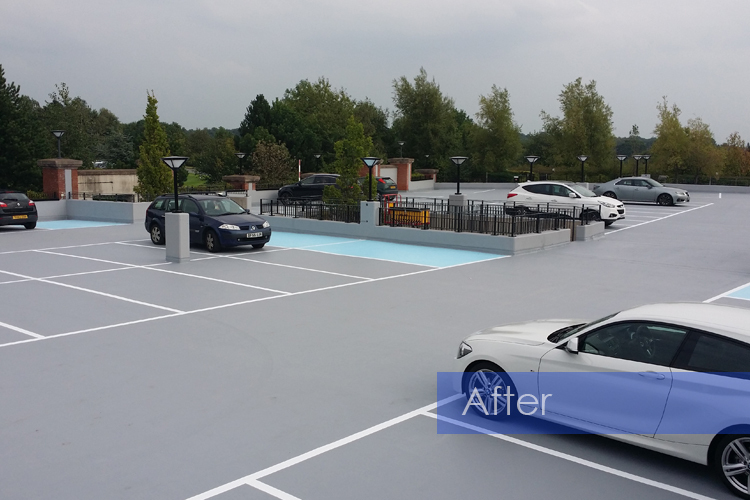 Car Park Coating Ltd were contracted to replace all movement joints with new, waterproof joints and also to undertake the necessary concrete repairs and deck waterproofing. 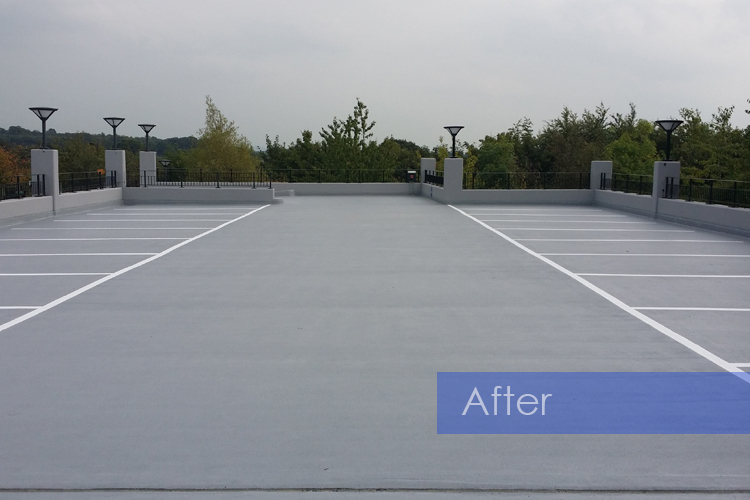 The existing asphalt to the top deck surfaces was mechanically prepared and overlaid with a fully elastomeric, anti-slip, car park decking system to provide a brighter, clearer, car park deck, with colour coding to the car park bays. To the lower decks the concrete repairs were undertaken to a very high standard and then all soffits were painted white to leave the car park looking much brighter and feeling much safer for the users.